Want to be notified of new releases in guicho271828/eazy-gnuplot? Supports for Multiplot environment partially available. When :terminal is missing, eazy-gnuplot tries to guess its terminal type from the given pathname. Growing the list of interfaces available as functions. Still, “unsupported commands” can be directly printed to the stream. 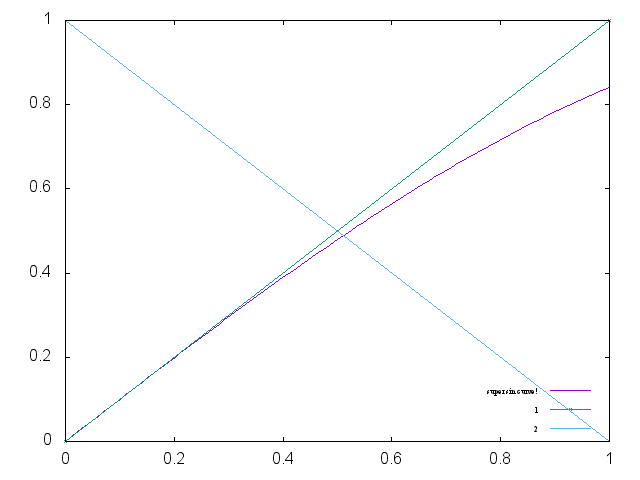 PLOT function accepts strings (treated as functions) and pathnames (treated as datafile). func-plot and datafile-plot are deprecated (but still available). Write 1 with-plots and (at least) 1 gp-setup per output file. gp-setup accepts and sets any attributes – mighty &allow-other-keys. no compatibility issue re: different gnuplot!. For more examples, see the eazy-gnuplot cookbook ! (gp-setup :xlabel "x-label"      ; strings : "\"x-label\""
:output #p"sample.png" ; pathnames : "\"sample.png\""
:terminal :png         ; keyword/symbols: "terminal png"
;; 2/4/2016 Major options are now covered. ;; We are extending its expressivity. For example, as of 39d60d, there is gp-unset and gp-set. ;; An equivalent of above is (gp-unset :keys) . ;; The list is growing! Above code This produces the following gnuplot code internally. It will then be fed into gnuplot interpreter. set key bottom right font "Times New Roman, 6"
When the script contains some error and gnuplot finishes with non-zero value, it signals UIOP:SUBPROCESS-ERROR . You can even try a wxt terminal or qt terminal and see the GUI interactively. However, these options may not be available on older versions of gnuplot. QT terminal is supported from gnuplot-4.6. WXT terminal has a known bug which leaves a zombie process until gnuplot-4.6. Alexandria is a collection of portable public domain utilities.